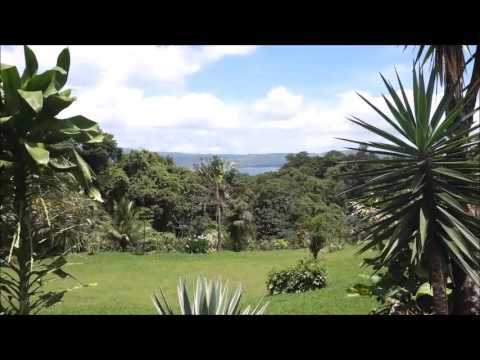 Established Lake Arenal LakeFront Hotel near Aguacate. 2 hectares of land here (About 5 Acres), 8 rooms, an apartment, a house, and a restaurant. There is also a shed/garage area, fenced tennis court and waterfall. This hotel/restaurant operation has been here over 20 years. The 2 hectares are lushly landscaped and there are many areas upon which to expand the operation. Beautiful lake views from all over the property. A multitude of wildlife exists right on this property. This property is ideal to expand upon and build up a tourist retreat business here. Current owner has been here over 20 years is ready to retire and has not wished to increase business much here. He’s happy having the place all to himself. He has been happy living here and working casually at his place. There is plenty of area for additional bungalows and hotel rooms.